GBP is still being supported by the Brexit proceedings. 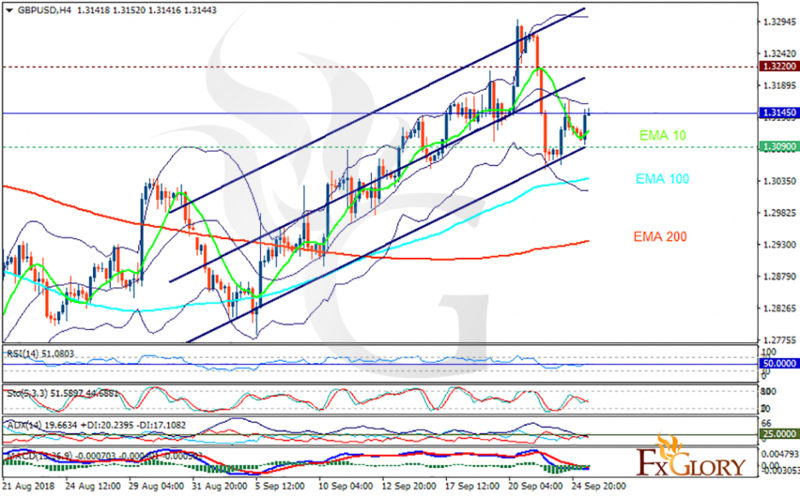 The support rests at 1.30900 with resistance at 1.32200 which the weekly pivot point at 1.31450 is located in between the lines. The EMA of 10 is moving with bullish bias in the ascendant channel and it is above the EMA of 200 and the EMA of 100. The RSI is rising above the 50 level, the Stochastic is moving in middle ranges and the MACD line is below the signal line in the negative territory. The ADX is not showing any clear signals. Traders must be really cautious for trading on GBPUSD. The pair might be fluctuating within the support and resistance area however, any growth or decline may cause profit or a great loss.